Ever get those days when you just crave everything and anything? No one food will satisfy the cravings so when dinnertime comes about you are stuck? Well... this week I have had a lot of those days! So here are some of my solutions! A plate of everything. literally. 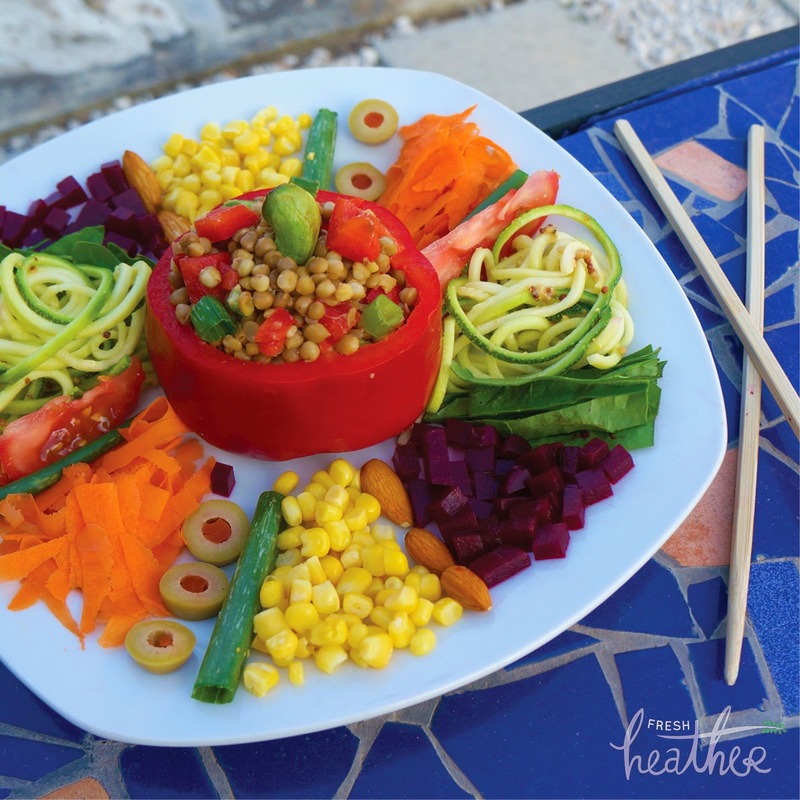 zoodles with whole grain mustard, raw spinach, sweet corn, olives, tomato slices, shaved carrot, almonds, beet root and, in the middle, red bell pepper filled with cooked put lentils (mixed with lemon juice and whole grain mustard), spring onion and chopped red pepper. Homemade Hummus/ Houmous. 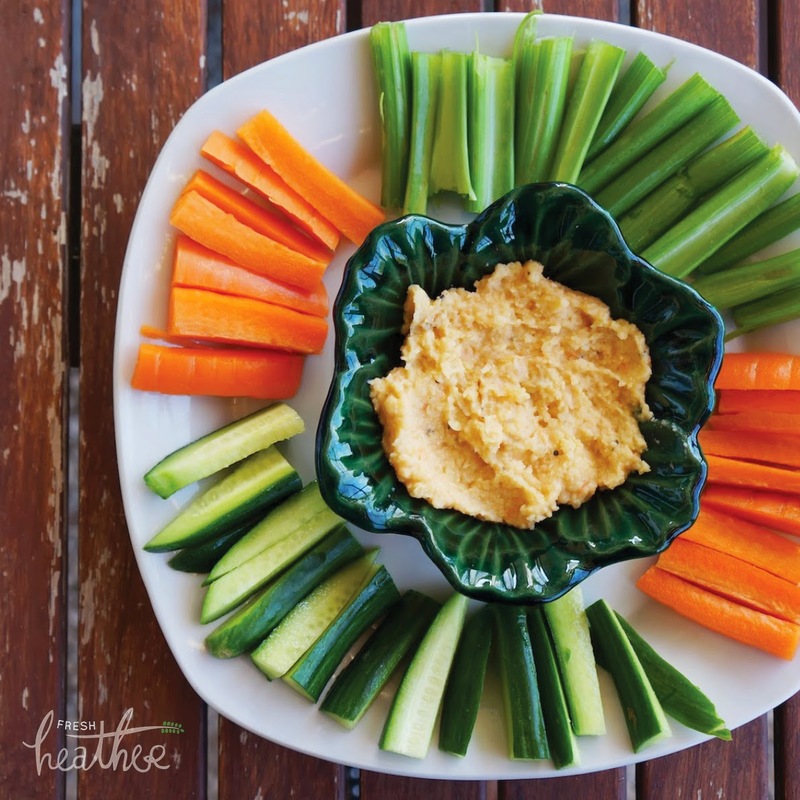 This is one of my favourite dips and goes perfectly with veg sticks, in wraps, with salad, pita chips or as a spread. It’s healthy and SO easy to make too…why buy shop bought?! This recipe is adaptable, I’ve made it before without some of the ingredients and it still works well. - (opt. add 1-2tbsp 0% greek yogurt for extra creaminess)! 2. Place all ingredients in a food processor or blender and blitz until smooth! 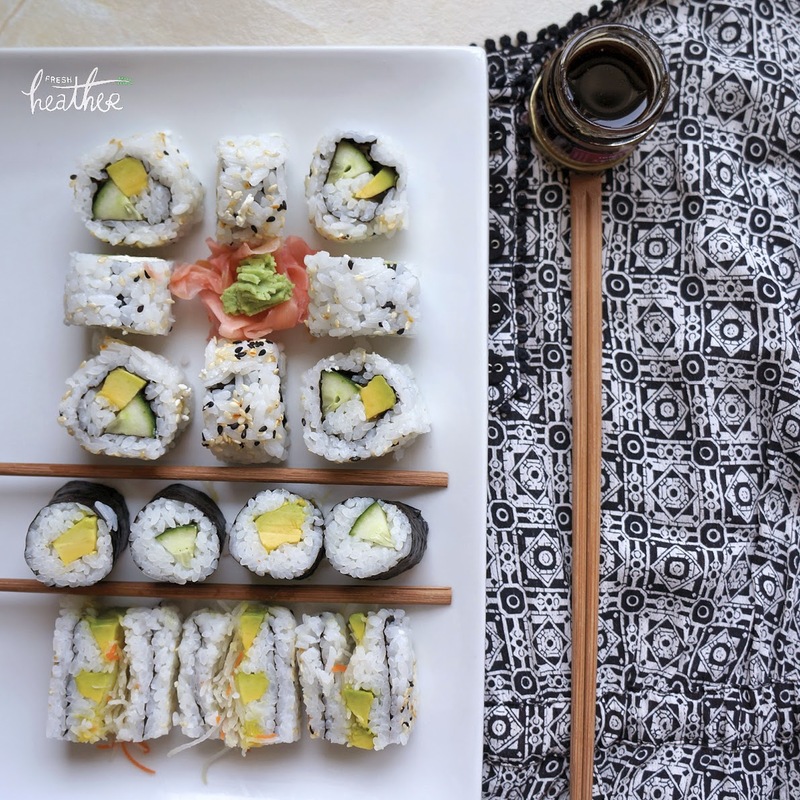 because when isn't sushi a winner? This is my favourite thing just now for a light lunch. It’s summer and I want to be outside and this only takes 3 minutes to make! 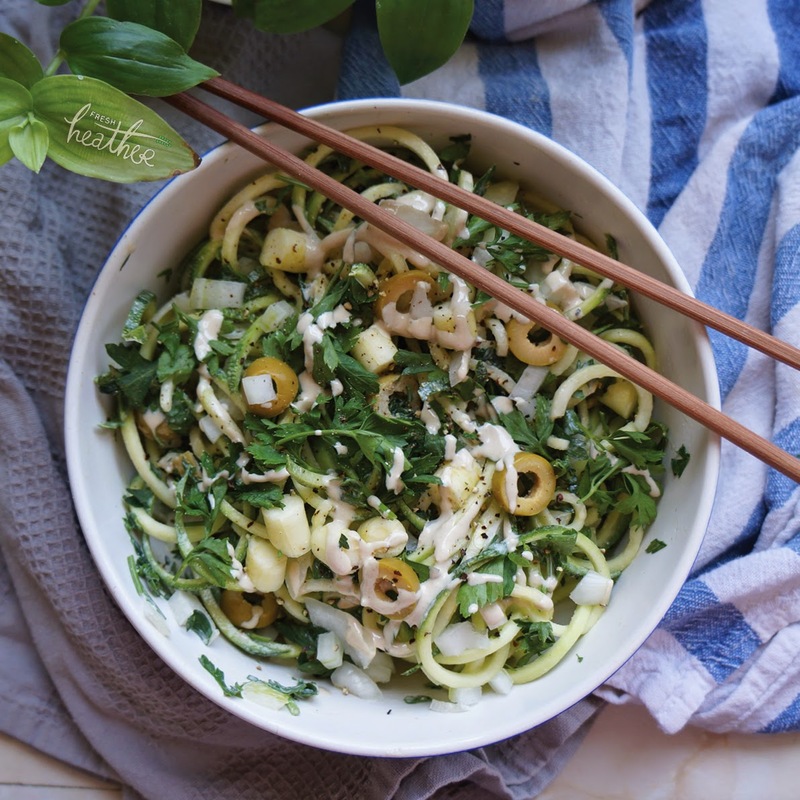 Zoodles with Tahini! 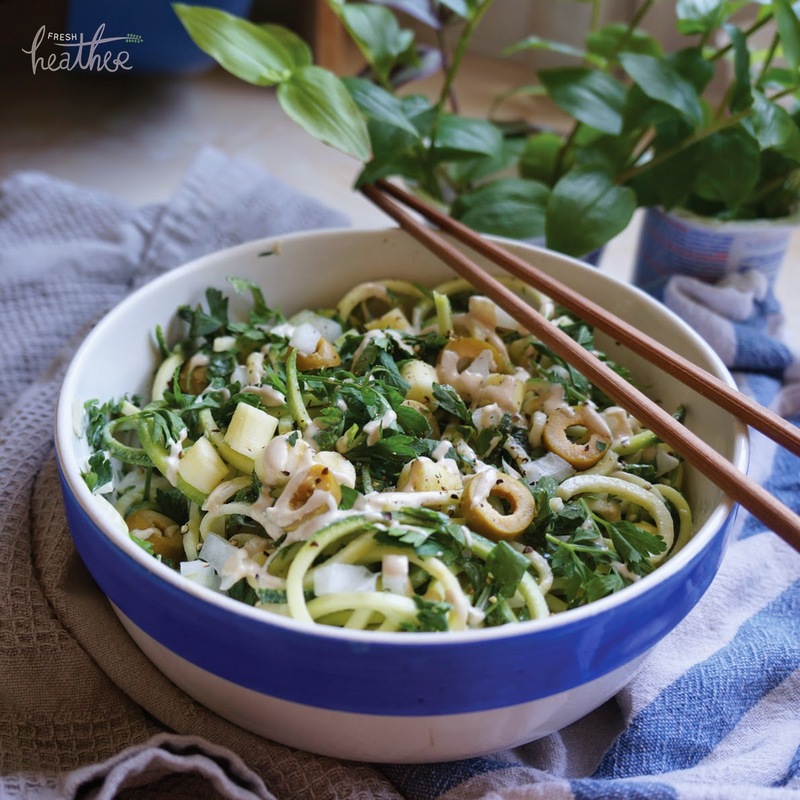 - spiralize two courgettes/ zucchini. - chop 1 small onion, a small handful fresh parsley and slice a few olives. - thin out 1tbsp pure tahini with 1-2tbsp water. - mix it all together and top with ground black pepper and more tahini drizzle (if desired). 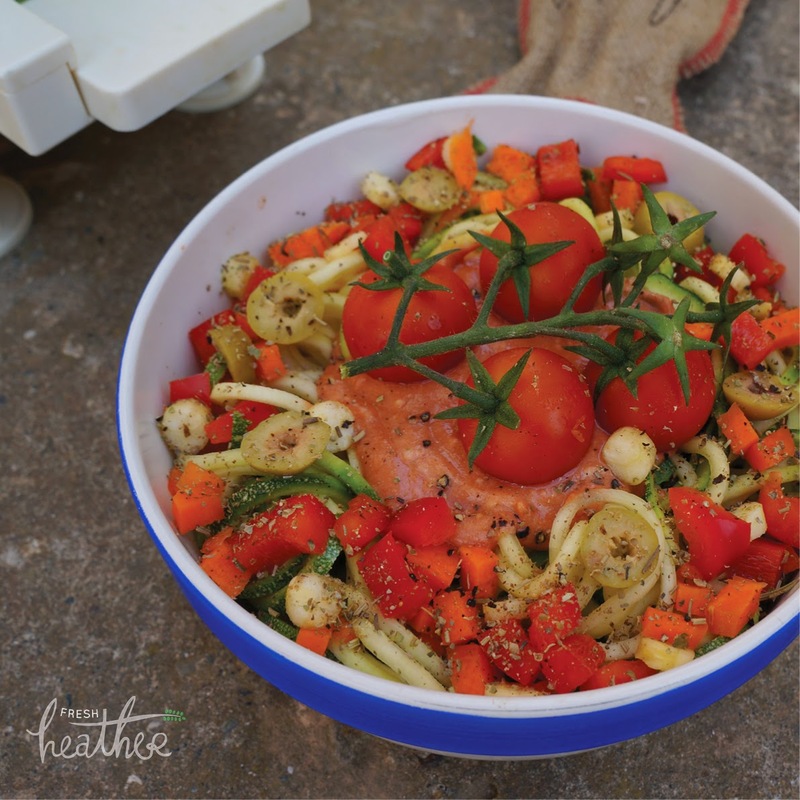 Spiralized courgette and carrot topped with Cypriot olives (the best), red bell pepper, spring onions and a soy yogurt, sweet chili + tomato purée sauce, sprinkled with herbs of provence. so... this isn't zoodles but same concept! 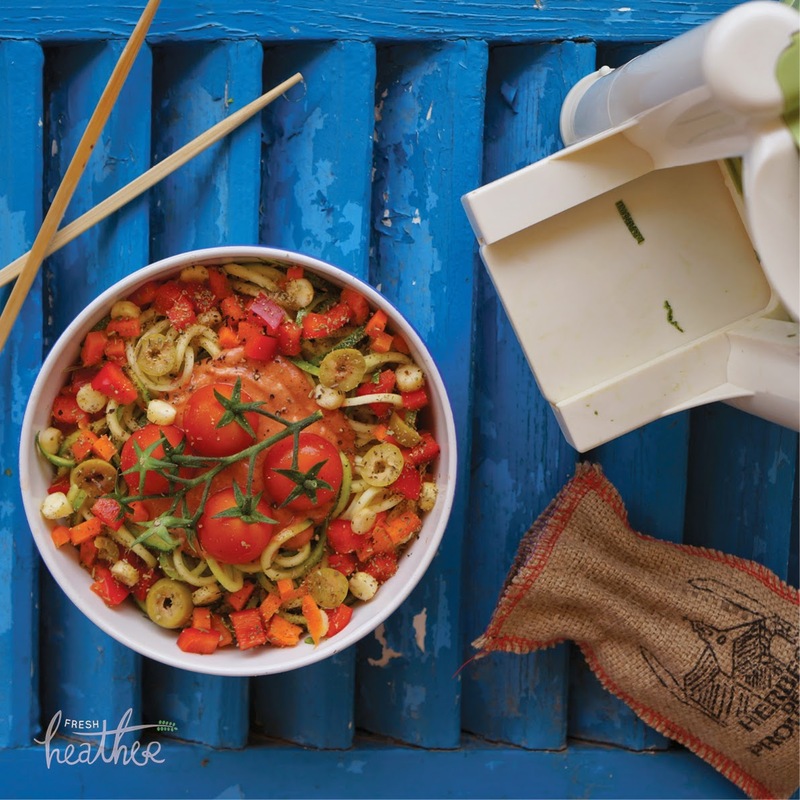 Greek Salad with a Twist! 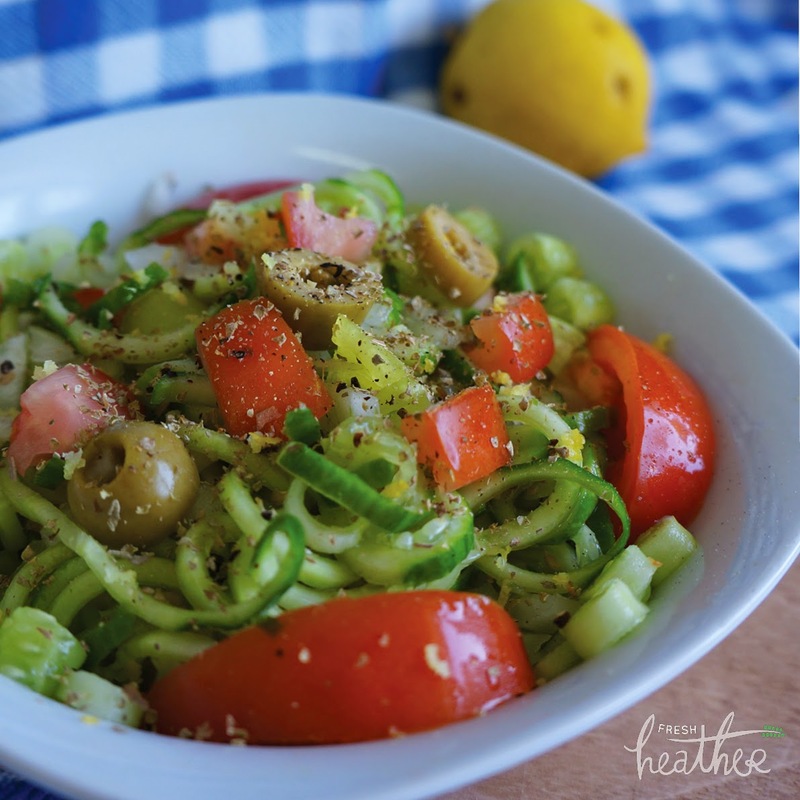 Simply spiralized cucumber, diced tomato, pitted + sliced olives and chopped onion topped with a sprinkle of dried oregano, lemon juice, lemon zest and balsamic vinegar (I also added in some cooked puy lentils after I took the photo)...so delicious and refreshing! I love preparing packed lunches rather than buying out; you save money and you know you're going to get something healthy! 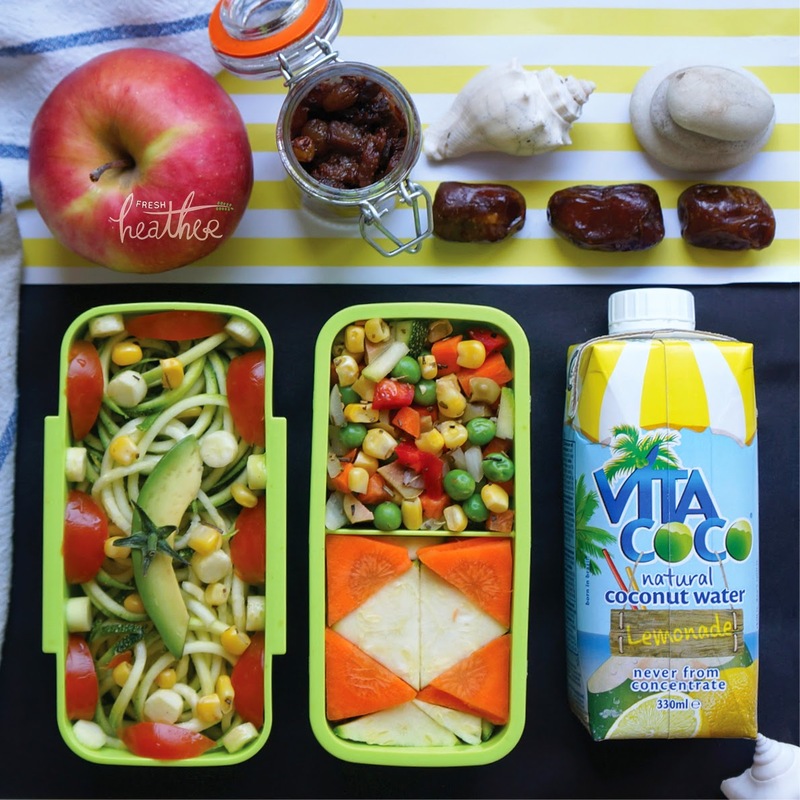 Zoodles with avocado, cherry tomatoes + corn | a little diced veg mix (corn, peas, bell pepper, olives, onions, carrots + courgette) | carrot + courgette 'tortilla chips' | homemade aubergine chutney (SO delicious) | an apple | some dates and a vita coco water + lemonade carton! 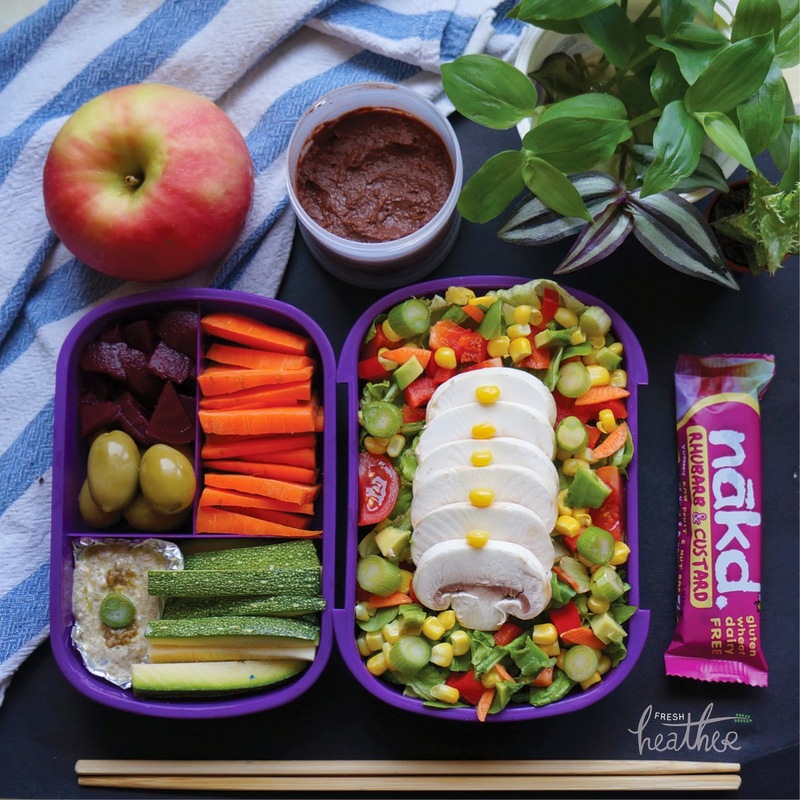 Mixed greens (romaine, rocket and spinach) topped with mushrooms, corn, spring onion, avocado red pepper and carrot | carrot sticks | courgette sticks | olives | beetroot | a savoury dip (hummus+olive paste) + sweet dip (homemade clean bean + chocolate orange ..recipe below) | an apple and a nakd bar! Miso ramen; feel good food. 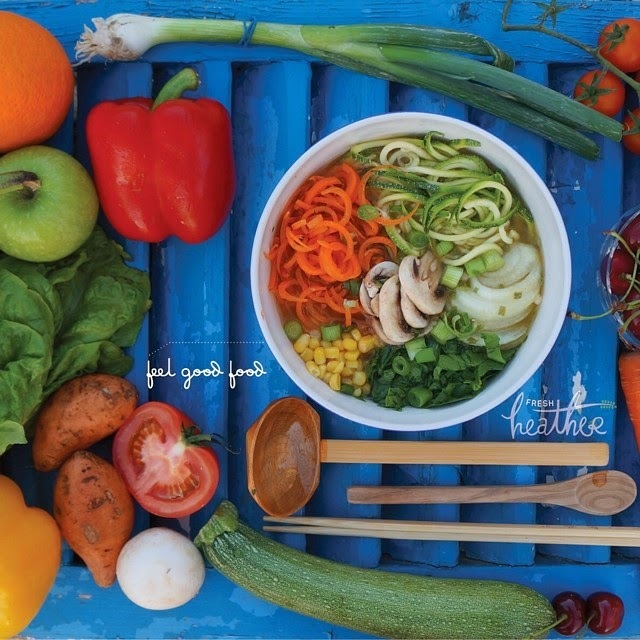 Simply spiralize some courgette and carrot, slice one small onion, a small handful of spinach + a couple of mushrooms (cooked or raw) and place in a bowl along with cooked sweetcorn. Add some cooked buckwheat noodles if desired. Top up with vegan organic miso soup (i used king soba pumpkin + vegetable). I am hungry after read the post. Going to try. Delicious post.